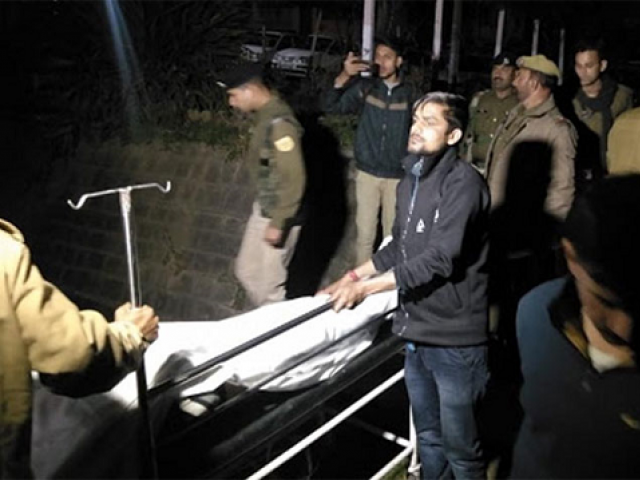 An Indian soldier killed three of his colleagues and later shot and injured himself in Udhampur district of Indian-occupied Kashmir (IoK) on Thursday, Radio Pakistan reported. The Indian Central Reserve Police Force’s soldier, Ajit Kumar, opened fire on his colleagues in the Battal Ballian area of the district. Among those killed were a head constable and two other sepoys. Indian troops also launched a massive cordon and search operation in Bandipora and Baramulla districts. The occupying0 forces conducted house to house searches, and sealed all entry and exit points. In the wake of the recent Pulwama attack, Foreign Minister Shah Mehmood Qureshi wrote a letter to the United Nations High Commissioner for the Human Rights drawing the attention of the international body towards the grave issue of human rights violations in occupied Kashmir. In the letter earlier in February, the foreign minister welcomed the call made by the European Parliament’s Sub-Committee on Human Rights, earlier this week, on India to end its atrocities in the occupied Kashmir. “I welcome the concerns expressed by you on February 19 on the use of Pulwama attack by such elements as justification for threats and violence against Kashmiris and Muslims in various parts of India. While we fully share these concerns, we would request you to continue monitoring of the situation and call for protecting people from all forms of harm on account of their identity and ethnicity,” he wrote.